I found chart so interesting. And for me, so accurate! Is it accurate for you, too? Click the image to see it larger. This kind of made me laugh. 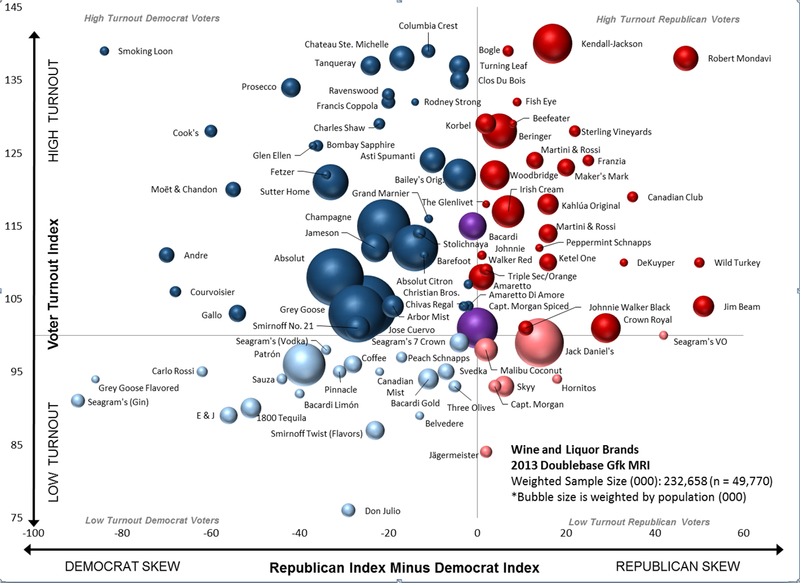 They basically placed regional drinks where there are republicans or democrats. I noticed all the bourbons on the Republican side, living in Kentucky now I can agree with that! Pretty interesting post! So interesting! I recently saw a quiz on Time's website that used mundane sorts of questions (do you prefer dogs or cats, is your desk messy or neat, etc) to predict your politics. Weirdly accurate! This is funny! I drink tanquerey in the summer and makers mark in the winter. Looks like I'm a tweener but I'm only a republican haha! I sometimes who takes the time to sit down and come up with these things. But it is accurate for me too.